The history of computing could be told as the story of hardware and software, or the story of the Internet, or the story of "smart" hand-held devices, with subplots involving IBM, Microsoft, Apple, Facebook, and Twitter. 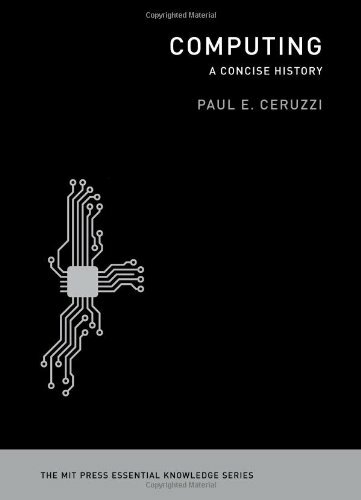 In this concise and accessible account of the invention and development of digital technology, computer historian Paul Ceruzzi offers a broader and more useful perspective. He identifies four major threads that run throughout all of computing's technological development: digitization--the coding of information, computation, and control in binary form, ones and zeros; the convergence of multiple streams of techniques, devices, and machines, yielding more than the sum of their parts; the steady advance of electronic technology, as characterized famously by "Moore's Law"; and the human-machine interface. Ceruzzi guides us through computing history, telling how a Bell Labs mathematician coined the word "digital" in 1942 (to describe a high-speed method of calculating used in anti-aircraft devices), and recounting the development of the punch card (for use in the 1890 U.S. Census). He describes the ENIAC, built for scientific and military applications; the UNIVAC, the first general purpose computer; and ARPANET, the Internet's precursor. Ceruzzi's account traces the world-changing evolution of the computer from a room-size ensemble of machinery to a "minicomputer" to a desktop computer to a pocket-sized smart phone. He describes the development of the silicon chip, which could store ever-increasing amounts of data and enabled ever-decreasing device size. 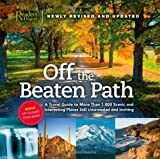 He visits that hotbed of innovation, Silicon Valley, and brings the story up to the present with the Internet, the World Wide Web, and social networking.